Here is another tutorial recipe that has been long awaited and highly requested. I feel that this guide will serve it’s purpose for existing island people who are looking for a grain free/unrefined flour alternative. I know many of you have wondered how do I make dumplings that’s free from plain flour with nutritional value. 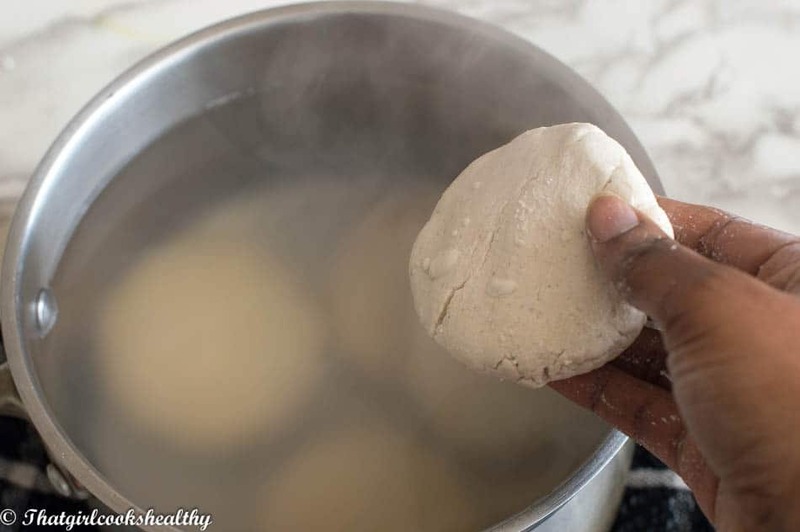 While the use of cassava to make boiled dumpling is very common. I also feel that it’s underrated and not favoured over plain/all purpose flour. 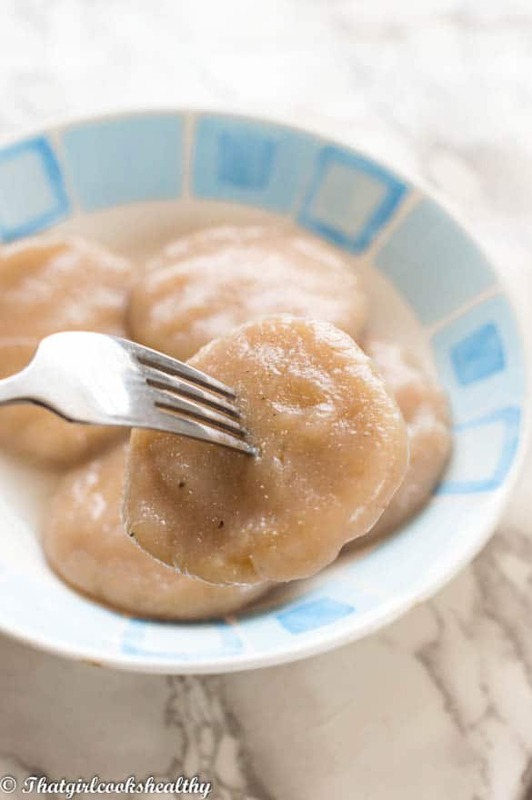 Do all Caribbean Islands eat boiled dumpling? 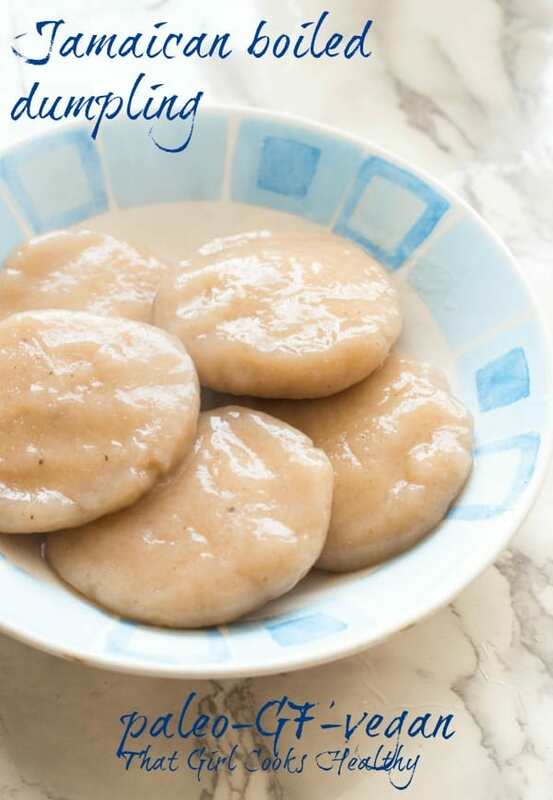 Although the title of this post says Jamaican boiled dumpling I am completely aware that dumpling is eaten throughout the majority of the English speaking Caribbean islands. Therefore, this tutorial guide is applicable to my fellow neighbouring island brethren. 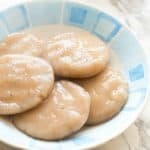 What is boiled dumpling used for? Similar to ground provisions (the name for root vegetables) dumplings play a crucial role in West Indian cooking. They are prepared and added to soup, stews or even included with a side serving of root vegetables. There are many variation of dumplings, some sweet while others are savoury – cornmeal dumplings, fried dumplings coconut, nutmeg, cassava and so on. However, this post will be focusing on the savoury dumpling made using cassava flour. Cassava flour is not to be mistaken for tapioca starch. I see so many recipes online that use both names as if they were interchangeable. There is a difference in what part of the cassava root each flour blend is made with. Is cassava flour and tapioca starch the same thing? Cassava flour is made from the entire root vegetable, peeled and dried. On the other hand, tapioca starch derives from the washing and pulping process of the cassava. 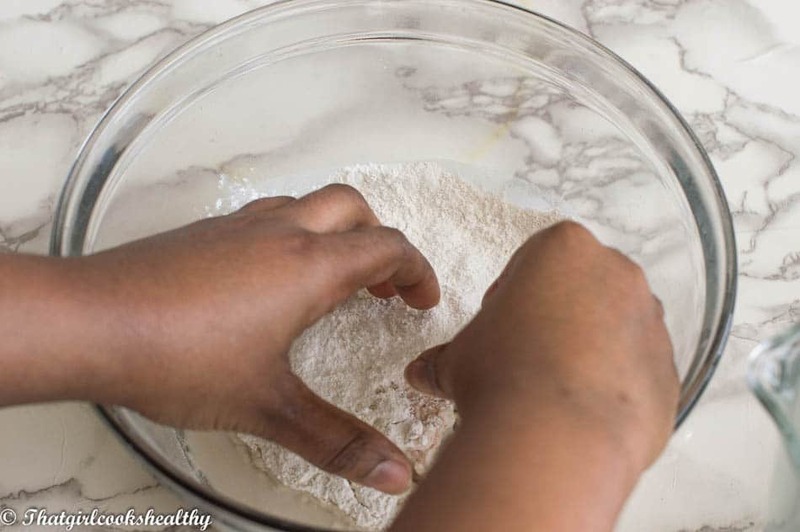 Although both flour blends are formed from different parts of the vegetable, the good news is that you can use either one these flours to make the dumpling. I know cassava flour is pricey and not easily to obtain in some countries but starch is a lot cheaper and more accessible. 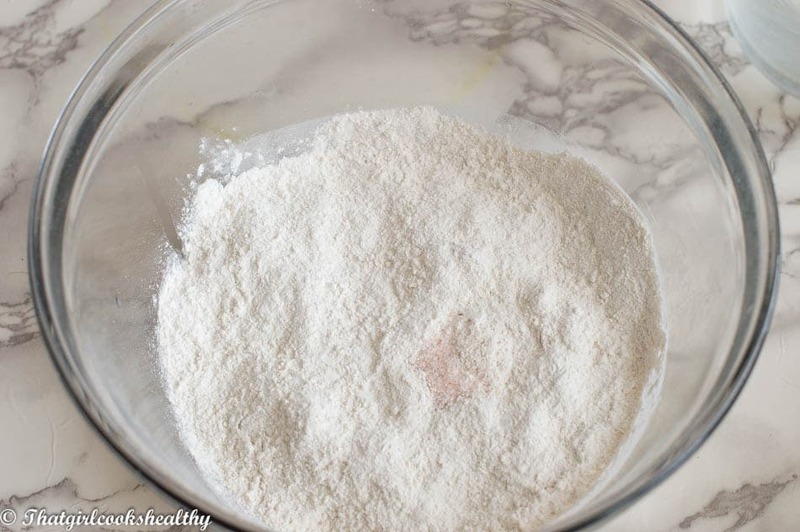 If buying cassava flour is problematic use starch instead and it should work out just fine. If you live in an ethnic neighbourhood like I do, you should be able to find cassava flour for a fraction of the price. Some people make this recipe with fresh cassava which tastes amazing but peeling the skin from a cassava is such a laborious task. 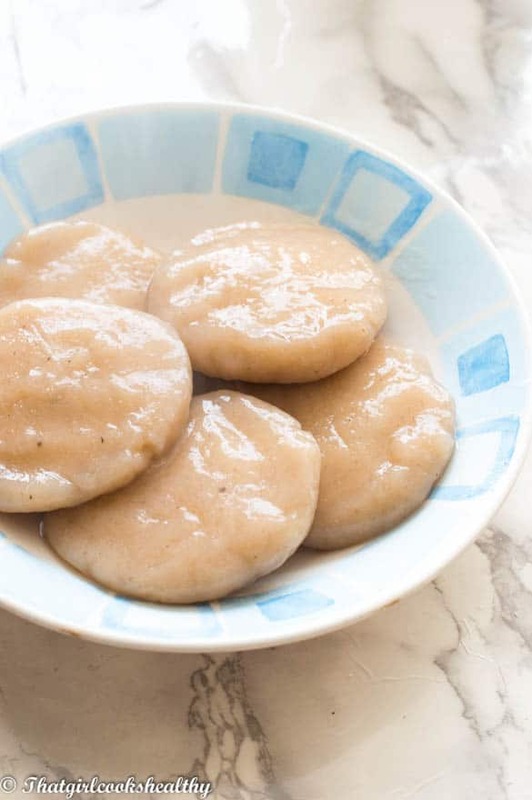 If you haven’t made dumpling using cassava flour then I would describe them on par with all purpose flour. You won’t feel like you are missing out by making this gluten free version. You only need 3 ingredients to make this recipe as listed and pair of hands!! Place all of the dry ingredients in a medium sized bowl and mix. 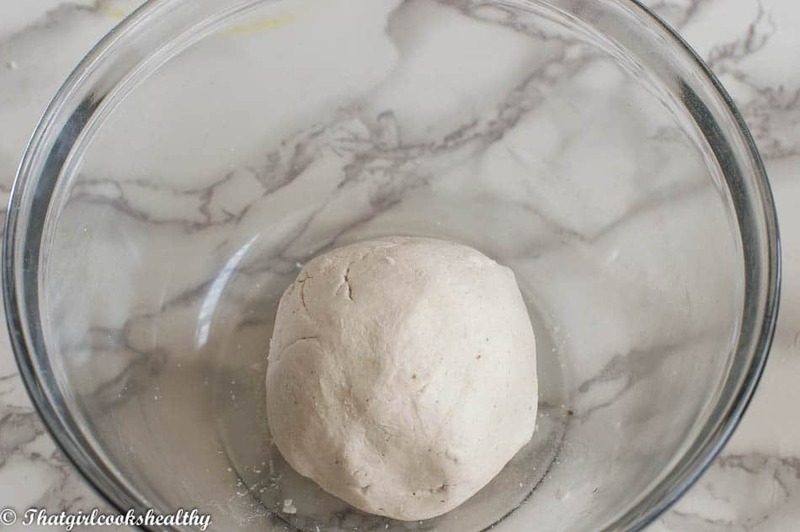 Start to add the water, a little at a time and proceed to knead the dough (you may not use all of the water). The dough should be pliable, firm and not sticky. 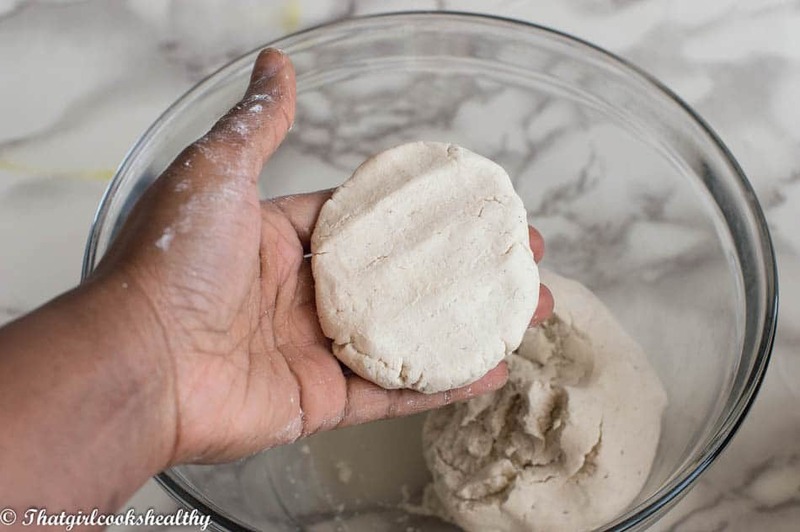 Pinch off some of the dough to form a small ball, use the palm of your hands to roll and then flatten into a disc shape because cassava flour lacks gluten you may find it a bit crumbly when it comes to flatten the dumpling, just smooth everything together. As you make each dumpling add them to boiling water/soups or stews. What an interesting dumpling! Thanks for sharing at the Friday Frenzy! I’ve never tried this before…sounds worth a taste test!!! Thanks for sharing on Friday Frenzy! 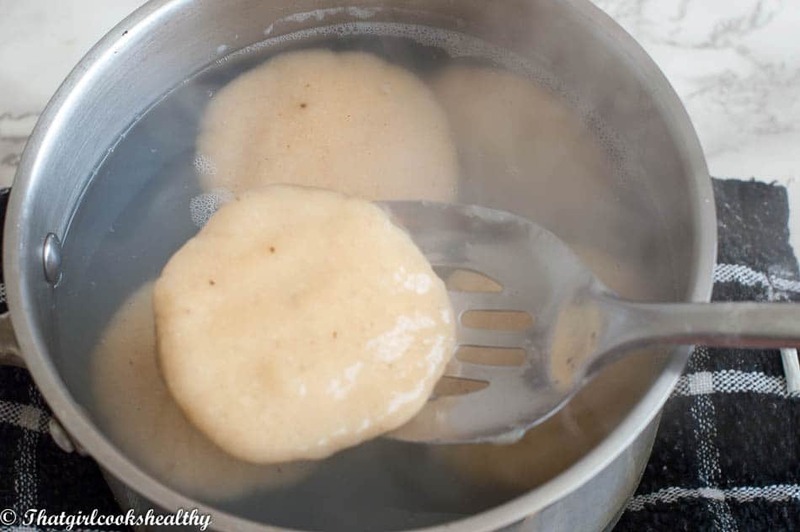 How long did you boil the dumplin? Roughly 10-15 minutes to cook through. Are they suppose to come out gummier than the normal dumplin ? Yes. Cassava yields a slightly gummier texture than ordinary flour. Thanks for the love!! I really appreciate. Unfortunately I don’t have a YouTube channel but I definitely would love to do YT eventually. You can catch me on Facebook, instagram or pinterest for all of my latest recipes.